No matter how peaceful and happy a life you have, how cosy and comfy a home you have, there always comes a time for a change. Either you have decided to buy a new house or just to move into a new flat, moving somewhere else is inevitable. And most of the time it goes hand in hand with a lot of troubles and stress. That is why the wisest thing to do when this time comes is to call the Professionals. Best Cleaners London is one of them. We offer a wide range of services, all of them executed to the highest standards and with the greatest attendance and care. Being one of our top priorities, our Removal services are one of the most highly professional and perfectly covered ones. So leave all your worries behind you and let the Professionals do the job. Moving home, office or only some items from one place to the other, that is completely no problem. Our expert team will arrive fully equipped and ready to help you. We can take care of the whole process, so from the moment we arrive there will be nothing left for you to bother. Our professional team will arrive with a modern van equipped with everything needed for a hassle free and smooth removal. It is compliant with all the requirements and up to the standard, so that all your personal belongings will be safe and sound when they are being moved by our vehicle. For even greater protection we provide all the needed wrapping materials that will help us handle your personal stuff with care and delicacy. At your request we can help you with the packaging as well and provide for you all the boxes, bubble wrap and materials needed for the effortless removal that you can imagine. And all of this handled from our friendly and supportive team. They will be there for you ready to understand all your needs and support you in these important moments. Because we understand that your furniture or belongings are valuable for you, we make it in the most delicate and easy-going way. 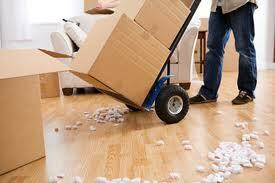 Best Cleaners London, yes we are, but also the best removals in town. We cover the whole London area and we work 7 days a week. We are flexible as to timing as well. Just give us a call and we will be there for you when you most need it. And you know what – at the most competitive prices that you can find! All of our prices are final with all the taxes included, so there are no hidden fees or extra charges. Our team is reliable and highly professional. All of our employees have insurance and have worked with us for so many years, that they have gained our trust and we are completely confident in their abilities. So no more stress and worries for you. Leave it all to us, because that is what we do and we do it best.